As your optometrists, we take very seriously the trust you have in us. Our reputation is earned one patient at a time as we uphold our responsibility to safeguard each patient’s vision. An article in the May, 2017 issue of Forbes Magazine by John Nosta is titled “The Internet is Making Us Lose Our Trust in our Doctors.” He writes that the level of trust and the drive to a second opinion is changing as a result of the internet. Patients exposed to online medical information on their condition often have a unique point of view. This idea was the basis of “Blink”, one of many bestselling books by New York Times writer Malcolm Gladwell. As optometrists, we need to recognize that our patients are becoming more informed about their eyes and conditions they may have, like cataracts or glaucoma. We find that our contact lens patients often research on the internet and ask us about various options like bifocal contact lenses. We recognize that the internet is changing much of health care and it is incumbent on us to embrace those changes for the benefit of our valued patients. You can do us a small favor! Please like us on Facebook and maybe subscribe to our YouTube channel where you can watch Dr. Momnie insert a contact lens on a six month old baby or Dr. Guzek-Latka discuss diabetes and how it affects the eyes, all at Chicopee Eyecare, P.C. 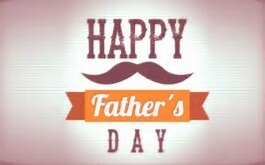 Thank you again for choosing our office. Our goal is to safeguard your eyes and help you achieve a lifetime of clear and comfortable vision. On Monday, August 21, 2017, all of the United States will have a solar eclipse. The moon will cover part or all of the sun for at least two hours. And some states will experience a brief total blackout. Day will turn into night for almost three minutes. The American Optometric Association along with the American Astronomical Society and NASA are providing information on how to view the eclipse safely. 1. Viewing the eclipse without proper eye protection can cause potential permanent blindness after only a few minutes. 2. Light from the sun is no different than at any other time but during an eclipse we can view the sun for a longer amount of time without discomfort. 3. Certified eclipse glasses or filters can cost less than $1 when purchased in bulk. Another safe way is to make a pinhole camera with a cardboard or shoe box. You’ve probably seen the ads on TV. 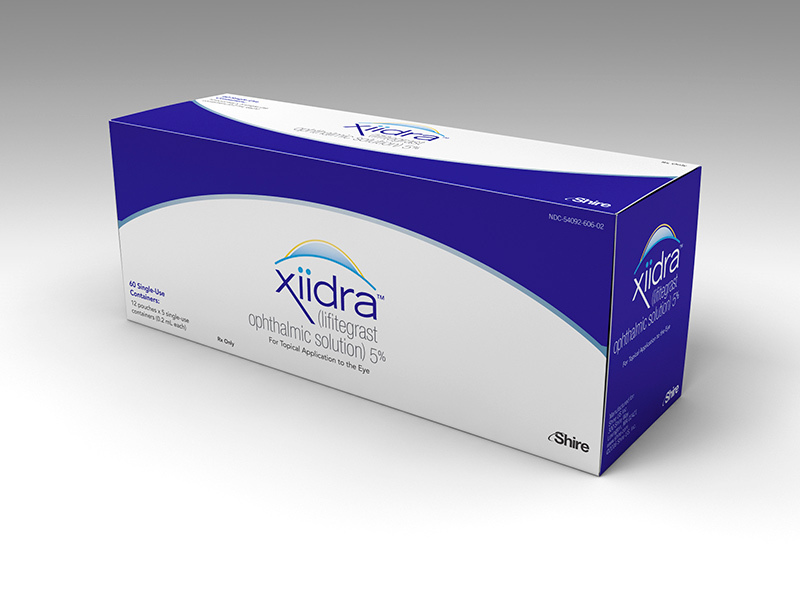 Dry eye is in the spotlight again because of Xiidra, the first new prescription drug in 13 years hitting the market last year. Thanks to a national media campaign, more patients than ever are asking us about their burning and gritty eyes. Restasis was the first treatment approved by the FDA for treatment of dry eyes in 2002. It has an anti-inflammatory effect on the lacrimal gland, promoting normal tear production by the gland. 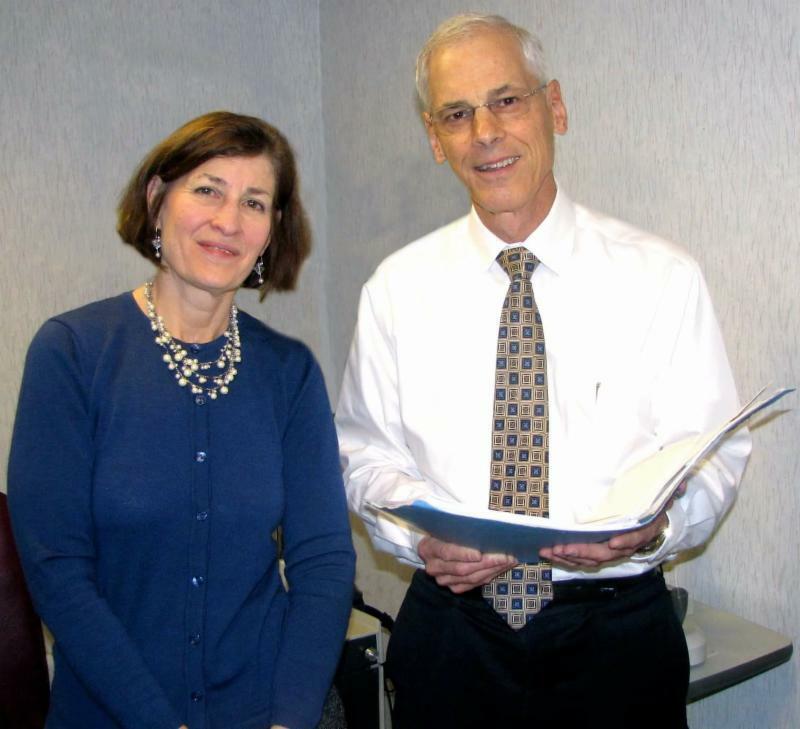 Last year, Xiidra was approved by the FDA and works in a similar but different way. However, unlike Restasis which can take up to six months to work, some patients using Xiidra have experienced a reduction in their dry eye symptoms as early as two weeks. Our first line of attack for dry eyes at Chicopee Eyecare is a combination of over the counter artificial tears, omega 3 supplements (fish oil capsules) and using warm compresses (we like the microwavable Bruder mask) on your eyelids for ten minutes several times a week. If you are still having symptoms of dry eyes, schedule an appointment to find out if one of the above prescription drops may be of benefit. OK, we didn’t beat out Information Security Analyst, Biomedical Engineer and Network and Computer Systems Administrator (No people skills needed with these.) However, a new job report from website CareerCast.com listing 200 jobs puts doctors of optometry in the top 20 best “Jobs Rated” careers at number 18 on the list. The profession of optometry was ranked as a good work environment with low stress and a very good projected growth rate. 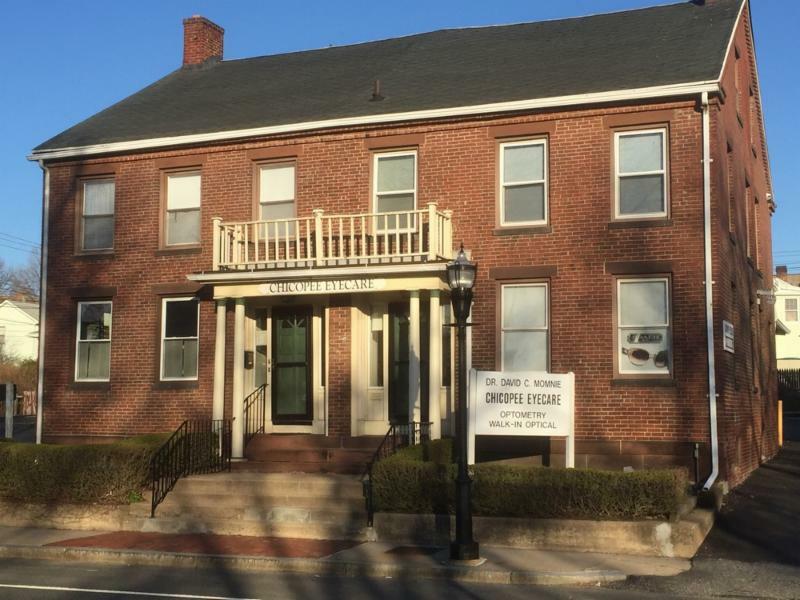 The doctors at Chicopee Eyecare are clinical mentors for final year students at the New England College of Optometry. The interns are all bright, energetic and passionate about the career they have chosen. If you or a relative or friend of yours is interested in a career of helping people see better, we would love to talk to you about a career in Optometry. 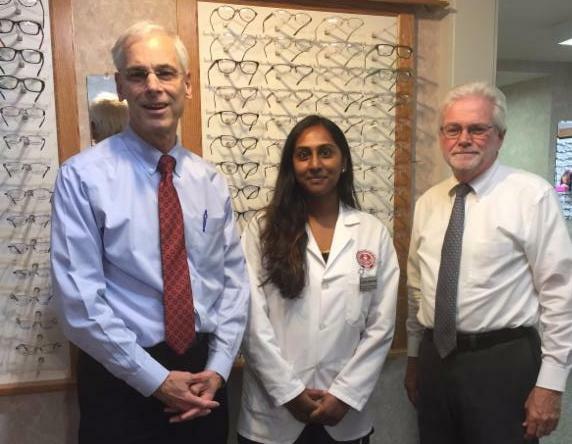 ​ Dr. David Momnie and optician Jim Moran welcome to Chicopee Eyecare our newest student intern, Bhavithra Umapathisivam of Toronto, Canada. Bhavi, as her friends call her, received her Bachelor of Science degree in Biology from McMaster University in Hamilton, Ontario and will receive her Doctor of Optometry degree from the New England College of Optometry next May. She has an interest in fitting complex contact lenses which Dr. Momnie and Dr. Guzek-Latka specialize in. The CNBC news organization recently reported that Apple engineers are working on technology in the Apple watch that would read glucose (sugar) levels continuously. The sensors in the watch would eliminate the need to puncture the skin, a somewhat painful routine that most diabetics face on a regular and often daily basis. Doctors use the word “noninvasive” to mean a procedure not requiring cutting or puncturing the body or putting something into the body spaces. Along with the Apple watch, a contact lens that monitors blood sugars, designed by Google, is another noninvasive device being studied. And a company called Siren Care has developed a “smart sock” which has sensors woven into the sock to detect small injuries which could lead to diabetic infections. Someday, high technology watches, socks and contact lenses may be the standard of care for diabetic care and make the daily patient routine a whole lot less demanding. 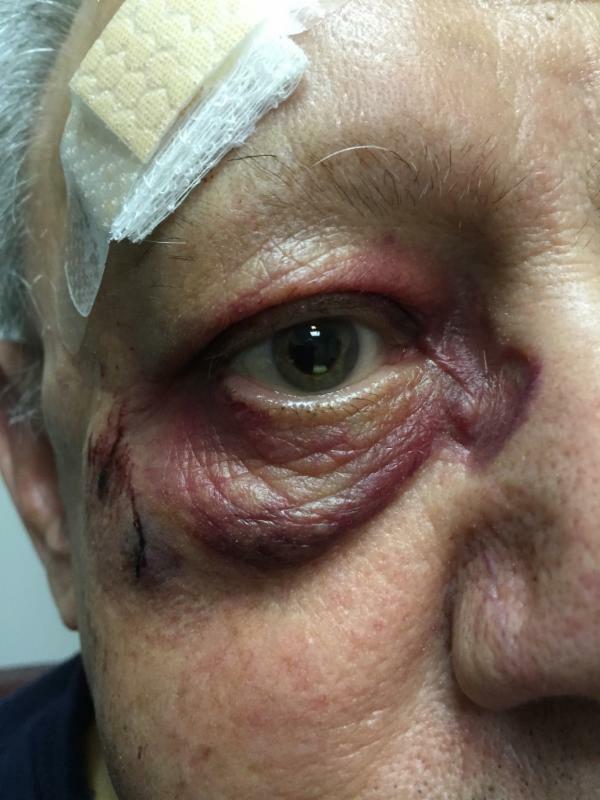 This patient was seen recently with a severe corneal abrasion from a piece of glass. He had gone to an Urgent Care center and was directed to our office. We placed a bandage contact lens on the eye and prescribed antibiotic eye drops. Two days later, the abrasion looked like this, 80% healed. 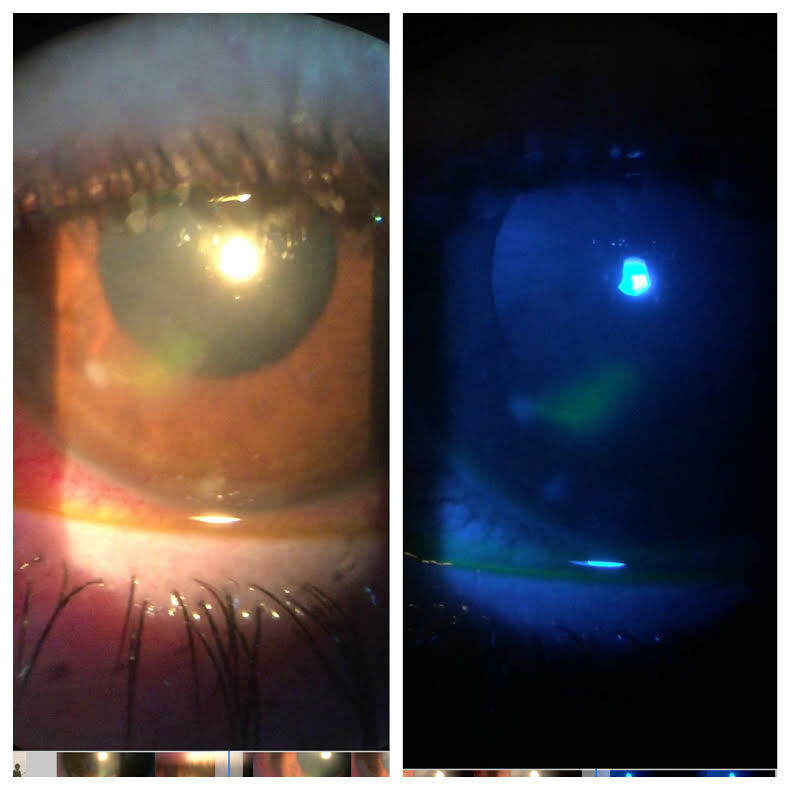 When the eye is viewed with a yellow dye and a black light, there is still some staining so the abrasion has not completely healed. The pupil is intentionally dilated to prevent complications and reduce the level of pain. Unless an injury is serious, please remember to call us before going to a hospital emergency room or an urgent care center. They usually do not have the personnel or equipment to properly diagnose and treat most eye injuries. . We provide “24/7” coverage for our patients including weekends and holidays. One of the hardest things we have to do as optometrists at Chicopee Eyecare is to tell a patient he or she can no longer drive a car. Losing their driving privileges often means losing their independence which can lead to social isolation and depression. However, the fatality rate for drivers 85 years and older is nine times higher than the rate for drivers 25-69. We counsel many of our older patients with early cataracts to limit their highway driving and avoid rush hour and night time driving. But sometimes we insist that patients accept “driving retirement” and make plans with their children and/or friends for alternative transportation. In addition to vision, one needs to take into consideration a driver’s fine motor coordination, hearing loss, cognitive skills and medical conditions like early dementia and sleep apnea. Please feel free to discuss with us any concerns you may have with your driving ability or that of a loved one.